Hey y’all. I try to get this party up each week by 9pm CST, but we all know most weeks it’s late. Let’s just call it like it is, right? I am hereby pushing this party back to 9:30pm each week. Give or take. There’s my public service announcement for the week. Also, I’ve got a lot of new partiers here lately. YAY! Welcome! Please be aware that I have two link parties below – one for crafts and DIY stuff and one for food and recipes. Make sure you link in the appropriate party. Thanks! Before Meets After has a beautiful bedroom. Just the Bee’s Knees did her son’s big boy room. Restoration Beauty repurposed some candle jars into apothecary jars and they are fab. Check out this rock wall flower bed from Dress This Nest. 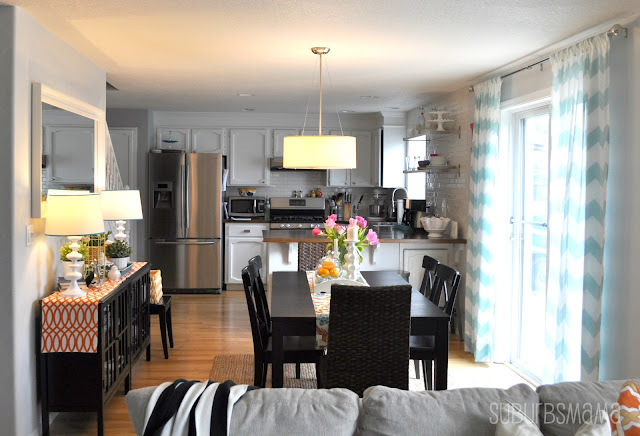 Suburbs Mama‘s kitchen makeover is great. 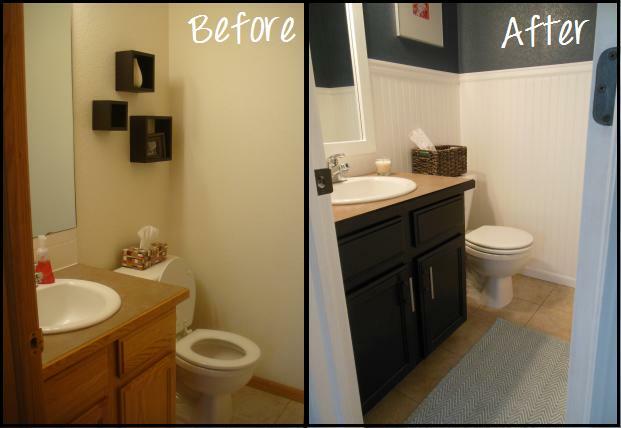 A fab bathroom makeover from Magenta + Lime. 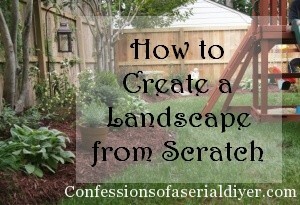 Confessions of a Serial DIYer shares great landscaping tips. 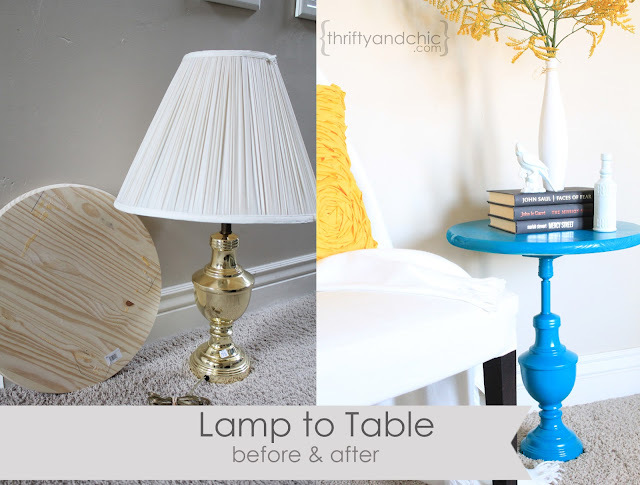 Thrifty and Chic is the ultimate repurposer, turing a lamp into a side table. The Stonybrook House DIY’d some sweet fridge mats. 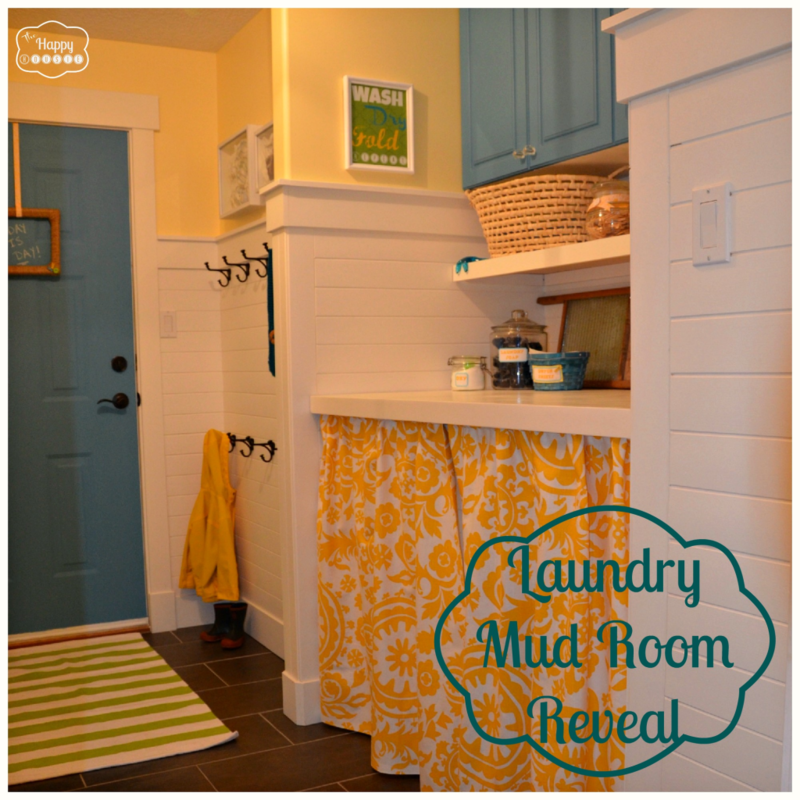 What an amazing laundry room makeover at The Happy Housie. 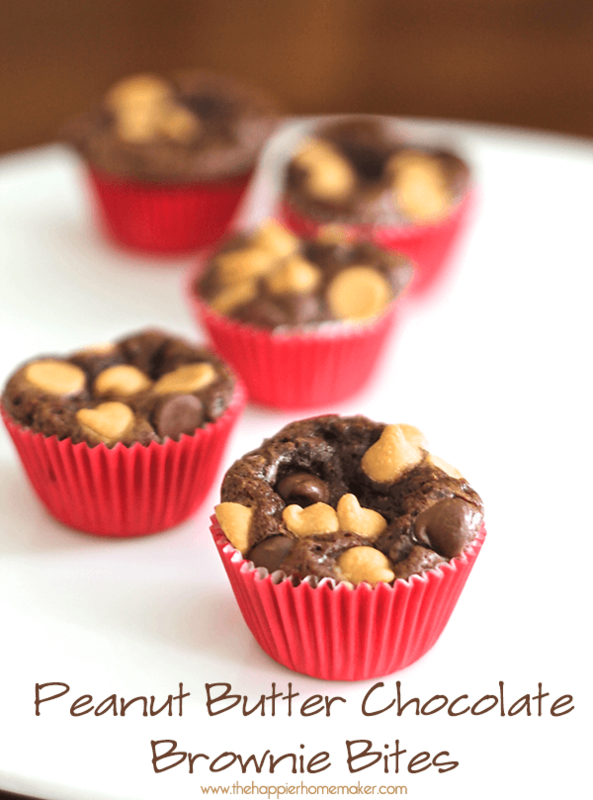 The Happier Homemaker whipped up some delish looking PB and chocolate brownie bites. Thanks for hosting Allison!! Hope you are having a great week!! Hey lady! You rock my socks off; thanks for the feature!!! Thank you so much for hosting, Allison! So many awesome features this week! Wow! Hope your week is going well! Ahhh!!! Thank you SO much for featuring my rock wall project on this week’s link party! 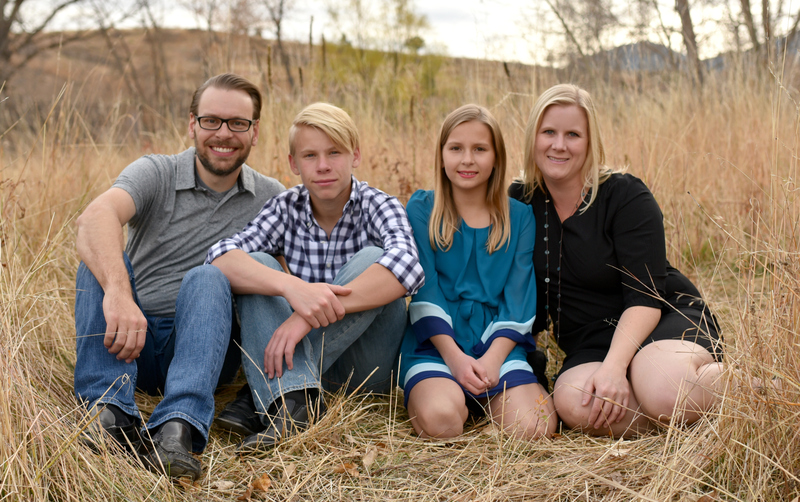 I am BEYOND thrilled as this is a new blog and I am just figuring it all out. Thank you so much for the support. It is VERY encouraging to be featured among all of the great projects posted at last week’s party. Smiling for days. Thank you so much for hosting!! I really appreciate the opportunity to meet new people! So many amazing features this week! Love it! Thanks for the party! Thanks so much for hosting Alison! Hope you have a great week! I’ll party with you whatever time it may be : ) Thanks so much for hosting, and I hope you have a wonderful day! Thanks so much for hosting! Hope you’re having a great day! Thanks for the wonderful party every week! Have a great day! Hi there and thank you for the party! Sooo many cute things and great ideas! Thanks for hosting! I love your picks from last week, especially the sunny yellow laundry room. Allison, thanks so much for hosting each week! Thanks for a great party as usual! Thanks for this great party! Thank you so much for the feature of my candle jars! Oh, and that master bedroom reveal is fabulous! Thanks for the party! You always have great links! Thanks for a great party!! Have so much to look at.